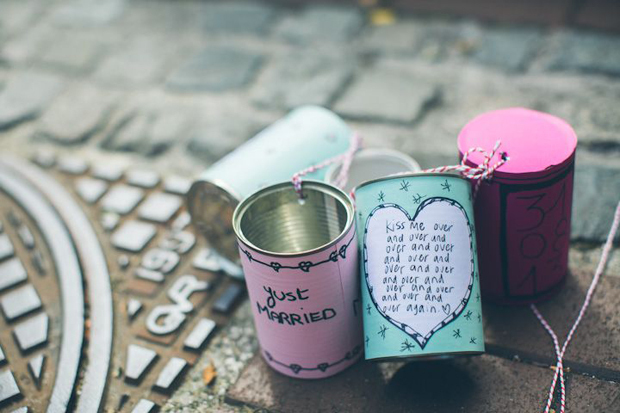 Who would have thought that the humble tin can could be turned into a fun and creative wedding idea?! 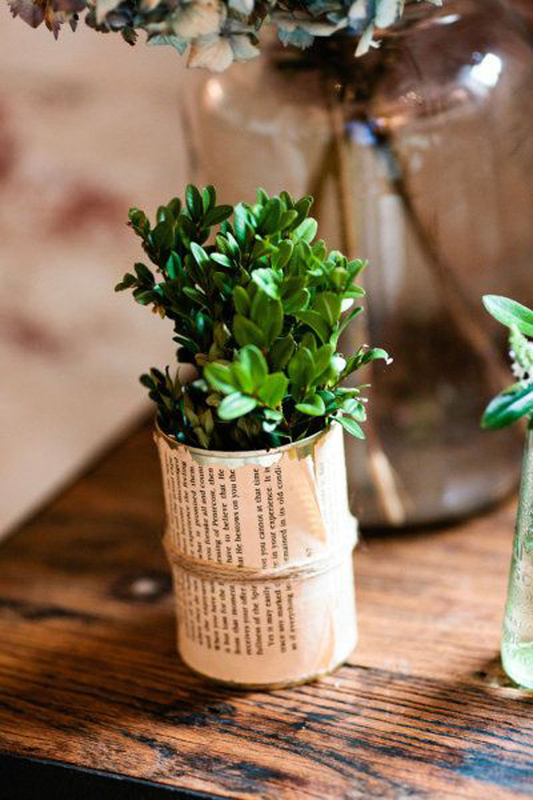 Start collecting your cans to use as fun props for your gift table, or any display table for that matter. You can have fun creating your own cute and quirky labels to print and stick on the outside. If this is something you’re not too confident about replicating, (or simply can’t be arsed) I’m sure it wouldn’t be too difficult a job for your wedding stationer to do, or any friend with a few creative skills. Or purchase here. Making a traditional getaway? 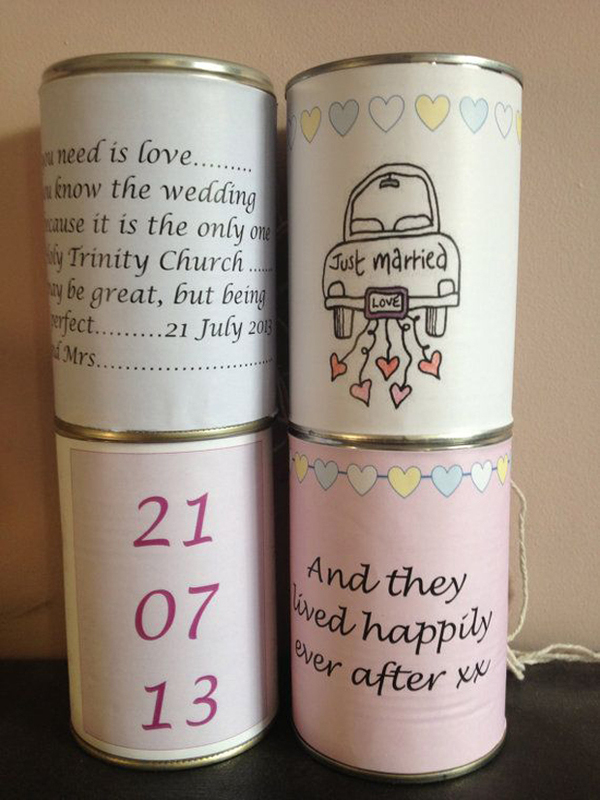 Decorate the back of the car / bike / vespa with these just married tin cans! I love the idea of stringing up these tins to attach to the getaway car! So sweet. Want something super basic and easy? Scrub your cans to get a good gleam and then add simple tags (purchase these on etsy). 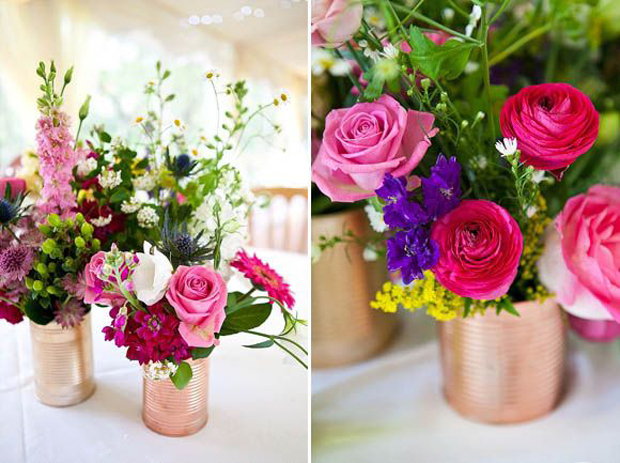 Use as pretty place names on your wedding tables. 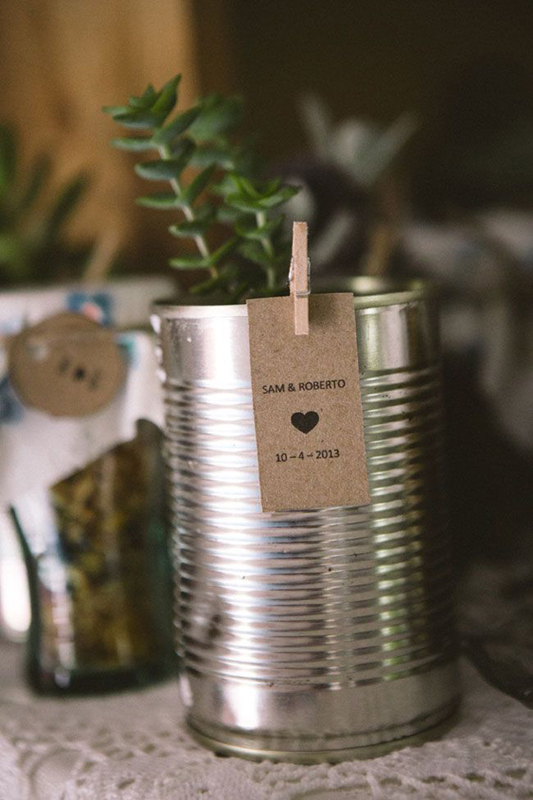 If you’re looking for tin cans you can turn into wedding favours, topping them up with compost and a pretty plant is such a great idea! Planning a rustic kinda shindig. 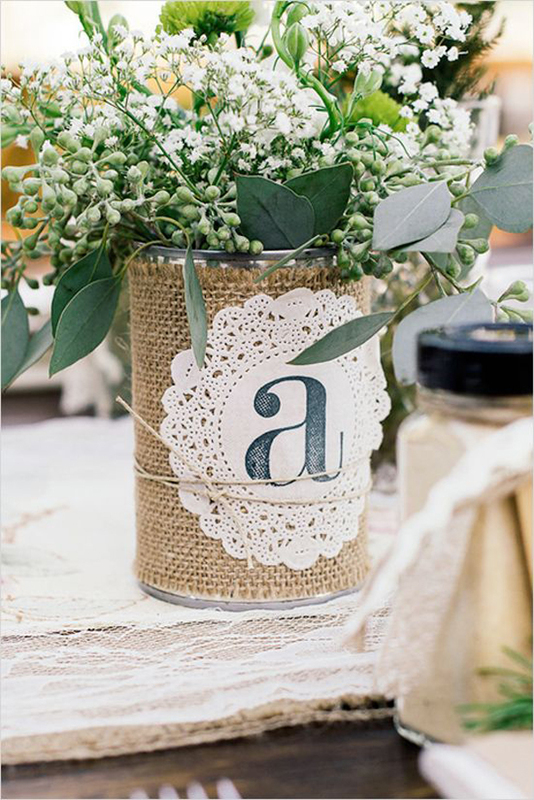 Pretty up your cans with burlap and printed doilies! Other sweet ideas are to use old dog earred books. Have a theme? Perhaps you can use pages from your favourite book? Alice In Wonderland for example. And don’t worry, you don’t have to destroy any actual books. The pages photocopied onto the right paper and a bit of tea staining could achieve that rustic vintage look. Or purchase here. Or how about newspapers from the day you met? Finally, if you want a super rustic, super lazy look. Simply leave your tin cans to rust a little outside. Tie around a bit of coloured twine and bingo. You’re done! 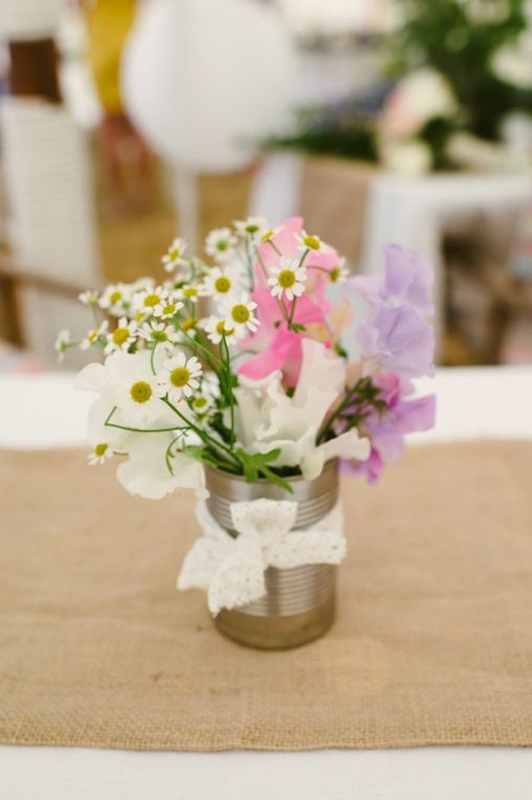 Another simple and sweet idea is to pretty up your tin cans with lengths of gorgeous ribbon or lovely lace. Have left over paint from decorating the spare room? 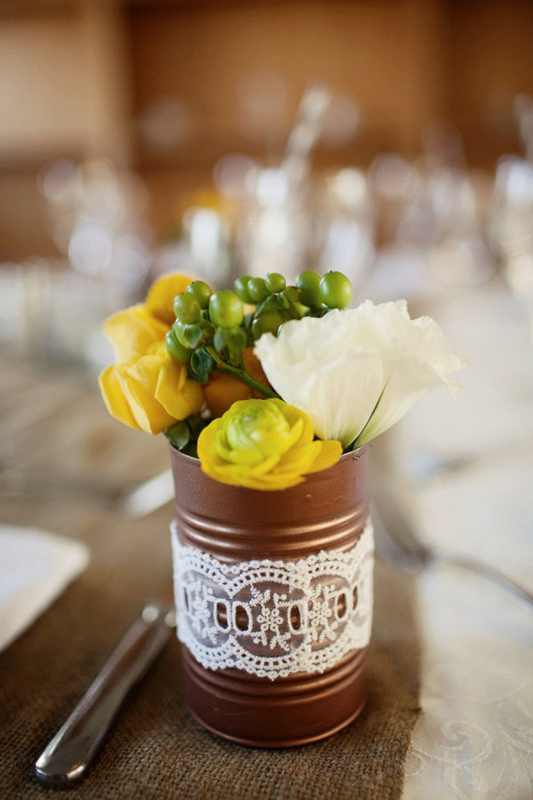 Simply paint your cans in your favourite coloured hues and then finish with a pretty flourish. For a modern and contemporary look, metallic spray paints can be used to spruce up your cans. 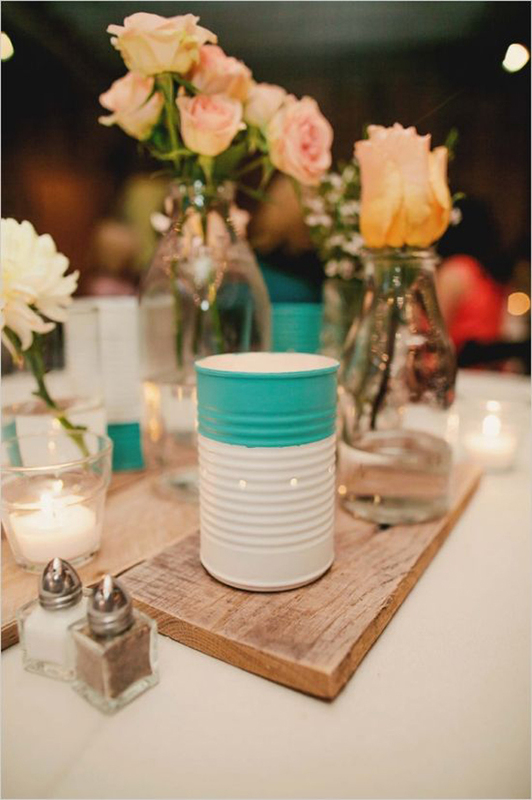 Tin cans can also be used as tea light holders, this two tone look is simple and easy to achieve. Paint the can white, let it dry. Wrap some masking tape around the can and then paint the desired section your second colour. *Top Tip. If using empty cans to create light votives. Fill them with water and then freeze them standing up. Get a nail and a hammer and then use to create holes around the can. Voila! 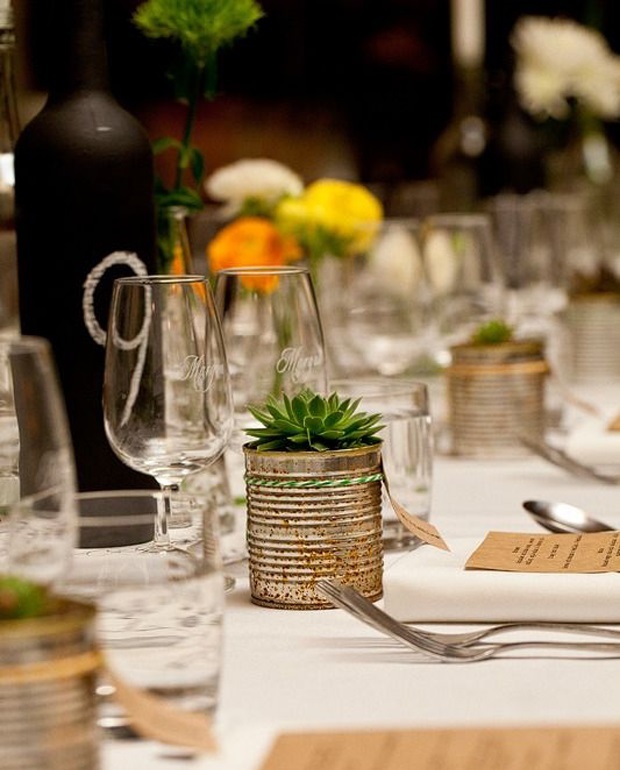 Are you loving these creative tin can ideas for your wedding day? Have any tips you’d like to share? 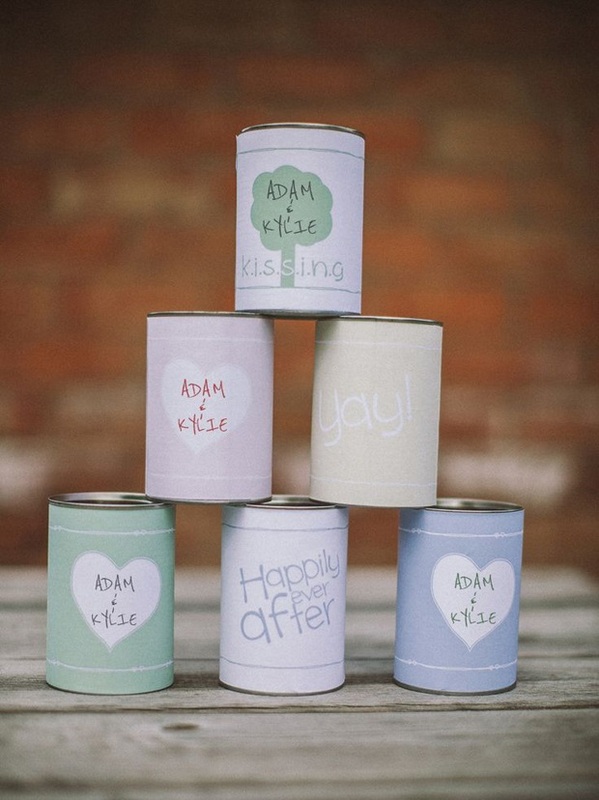 All of the materials from these fab DIY tin can wedding ideas can be purchased via Etsy! 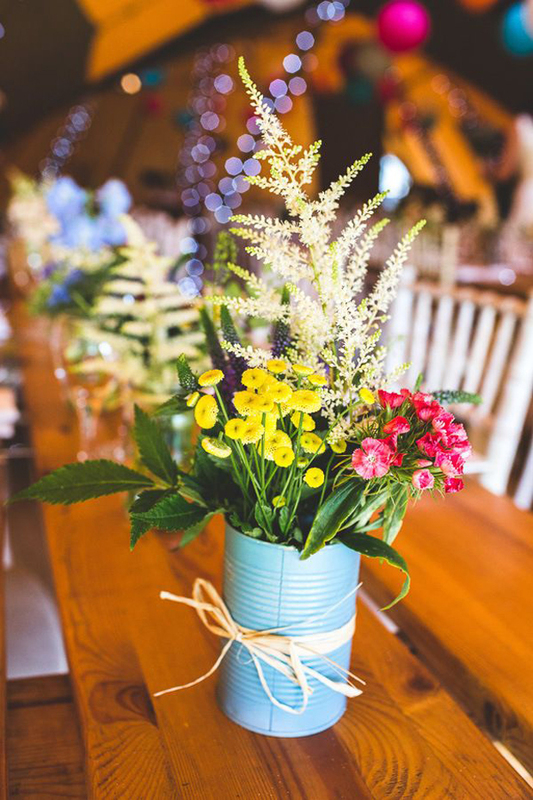 These are some really lovely ideas for rustic wedding tables. 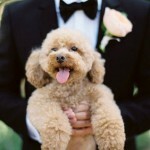 A great way to save money for the budget minded Bride & Groom – After all we all need to save a bit of money!!! Working in the wedding decor market I love the burlap ideas to sit on hessian table runners, perhaps with some pretty lace!! !